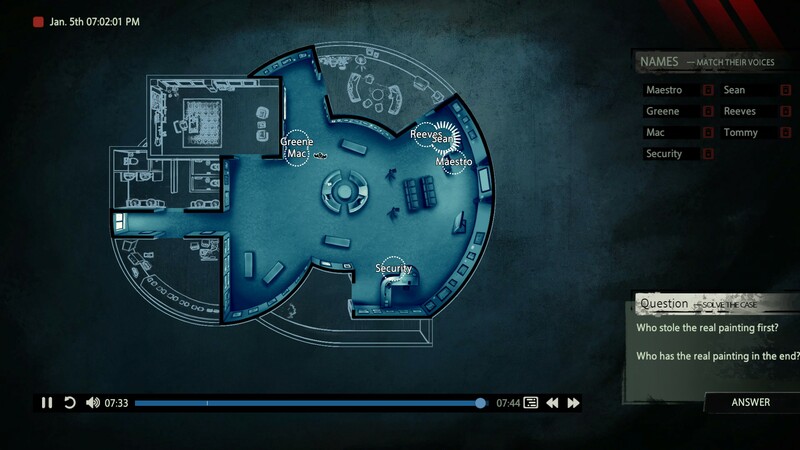 Unheard is a case-solving mystery game centred around eavesdropping. In the words of NEXT Studios, “every clue, every move, and every motive [is] presented in the form of audio”. In other words, you’ll spend a lot of time listening in to conversations, intuiting moods and motives based on voices and the evidence they impart. This is conducted via a stylish top down map, which offers the layout of environments but none of the physical action in them. It’s definitely worth a look for people keen on innovative puzzle-centric mysteries: Evic Van Allen wrote at length about it earlier this week. Uriel’s Chasm 3: Gelshock is the latest from Rail Slave Games, a studio renown for its bizarre and vaguely sinister art games. Gelshock borrows from the bullet hell shooter and top-down RPG genres, but if you’re fond of the studio’s signature brand of surreal it won’t matter what you’re actually doing in the game. “Be prepared to explore an eerie, rusting deep sea mining platform tangibly rendered and hand dithered in the restricted NES color palette.” Who can deny this pitch? Definitely worth a look if you need a good brain exfoliation. Windscape is a first-person adventure RPG set in a world bespangled with airborne islands. There is a small problem, though: these islands are falling out of the sky, thanks to some unspecified evil which, naturally, the player must work to thwart. There’s a large and pastel-hued open world to explore, as well as dungeons featuring puzzles and combat (the studio mentions Zelda as an influence). It’s been in Early Access for some time, and launched into 1.0 last week. Xenon Racer is a futuristic arcade racing game with a focus on face-melting speed. There’s no “sim” element in sight, it’s just about going stupidly bloody fast, though you can customise your sleek future-mobile if you wish. There’s split-screen and online multiplayer, but it otherwise looks like an unusually pure racing game: no stuffing around required. WipeOut meets Ridge Racer appears to be what studio 3DClouds.it was going for, and they’ve nailed the look at least. Slave RPG is an ASCII-styled RPG about surviving in the wake of a devastating financial crisis. The goal of the game is to escape debt and free yourself from an aggressive militia, which will involve working and eventually even employing other people. Or, you could “find fame and fortune fighting in the district arena”. There are six different races and eight classes, and the difficulty options can be tweaked quite extensively. It’s a fascinating concept, so long as you’ve got no aversion to ASCII (though this is modern ASCII, in the vein of Brut@l).